It can get really annoying when your AC keeps shutting down on a hot summer day and it turns out to be because the circuit breaker is tripping. Not only does is mean you can’t stay cool, but the repeated switching on and off can damage your sensitive AC equipment. Rather than stewing in the heat, it’s time to figure out what is causing the problem and set it to rights. However, you should keep in mind that circuit breakers that trip are simply doing their job. It has tripped because there was an electrical surge that could have damaged the AC and so it tripped and safely shut off the circuit. Repeated breaker tripping is a sign that something is wrong within your house’s circuits and should not be ignored. If circuit breakers trip, it means excessive current was detected and they are protecting your appliances and home’s wiring from damage. 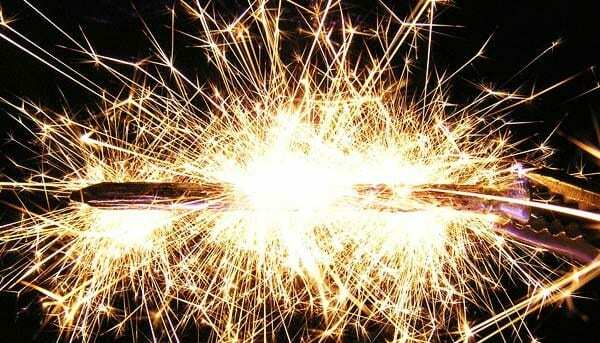 Often, a power surge can ‘fry’ your appliances leading to expensive repairs or replacements. Most modern circuit breakers have two independent tripping mechanisms, and each is designed to respond to a different type of fault. A breaker’s thermal tripping mechanism trips the circuit breaker when its rated current is exceeded for a predetermined period of time. On the other hand, the magnetic tripping mechanism has an instant response and is designed to clear high-current faults such as short circuits or ground faults. Remember that if a breaker feels hot, contact an electrician as soon as possible. Also, never handle electrical switches and breakers with moist or wet hands. When your AC circuit breaker trips, here’s what you should do first. Turn off the air conditioner system at the thermostat. 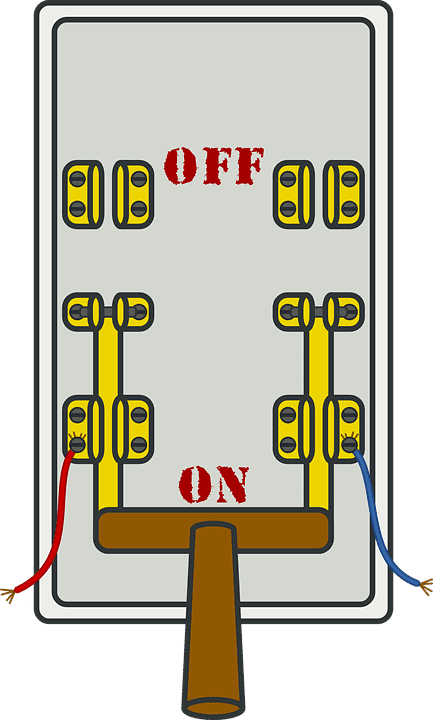 Then, locate your electrical panel and turn the AC circuit breaker switch back to the On position. After waiting approximately 30 minutes with the air conditioner off, turn the AC back on and set it to Cool. 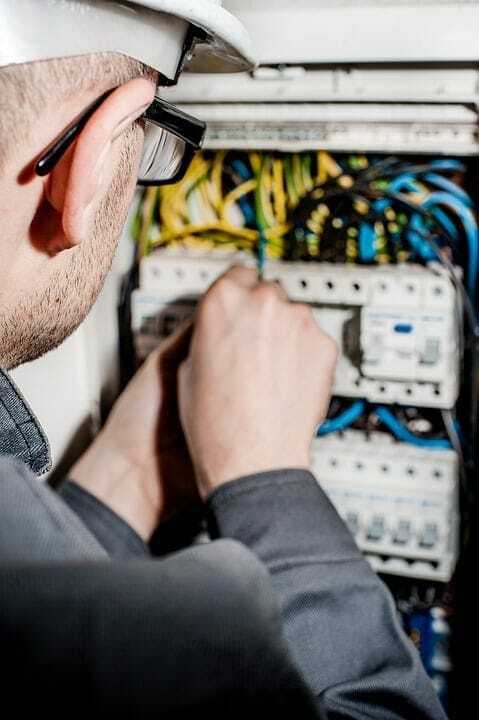 If there’s nothing seriously wrong with the AC or circuits, everything will work normally after this and the AC circuit breaker won’t trip again. The tripping might have been due to a one-time transient load. It’s possible that the tripping was caused by a dirty air filter, which can prevent air from returning to the AC, reducing airflow over the evaporator coil and causing it to ice up. 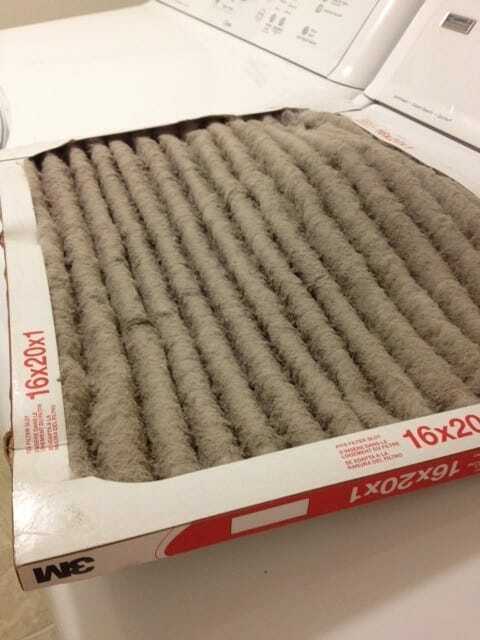 If the filter is dirty it can cause an overload on the AC which has to work harder to cool the air. First, open up the AC’s return vent and remove the filter. You’ll know it’s dirty if you can’t see light through it. Change the filter if it’s disposable, or clean it thoroughly with water and dry it. Your air filters should be changed every 3-4 months, and more frequently if you have shedding pets or a large household. In some cases, a dirty condenser coil could be the culprit. This usually happens because of laxness in annual AC maintenance. 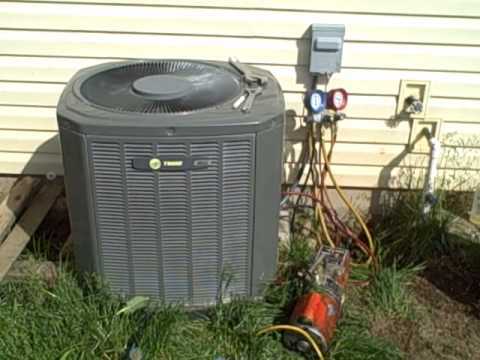 A dirty condenser coil means your AC won’t cool as effectively. The outside AC unit houses a condensing coil that releases heat from the inside the house to the outside. When it gets coated with grime and debris, heat transfer is impaired, causing your AC to work harder to cool your space. This results in your unit drawing in too much power, causing the AC circuit breaker to trip. To make sure this doesn’t happen again, simply give the coil a thorough cleaning and remove any grime that is interfering with its cooling function. Short circuits are very dangerous and can harm both you and your personal electronics. A short circuit occurs when current can flow between a live and a neutral conductor, resulting in a current flow that is much higher than the rated value. When this occurs, the magnetic tripping mechanism of a circuit breaker is activated immediately. In a circuit with more than one live conductor, a short circuit can also occur if there is contact between different phases. If the tripping in your house is the result of a short circuit, call an electrician or HVAC technician for an inspection. It might be that the insulation on one or more conductors is damaged, allowing a direct electrical contact. Short circuits may also occur internally in electrical devices; for example, if the winding insulation of a motor may be damaged, a short circuit may occur as well. Short circuits can commonly result in fires, so getting them checked quickly is imperative. As your AC’s compressor ages, it can undergo mechanical issues that eventually lead to a failure. If the compressor fails, it might mean you need a whole new system. This is why you should never keep turning on the AC circuit breaker after it trips, or ignore any of the problems described above. A faulty compressor needs to work harder than normal to keep cooling the air and that in turn leads to overload and circuit breakers tripping. A faulty AC has trouble starting (called hard starting) and pulls even more electricity, causing the breaker to trip as a result. An AC technician can solve this problem by installing a “hard start kit” which is a capacitor that gives the compressor motor an extra electrical “jolt” to get it moving. However, the compressor may be old or damaged and need to be replaced instead. To avoid issues with your compressor, you should get your AC serviced and inspected regularly. A small investment once or twice a year (depending on your system’s usage) can save you from major headaches down the road. Tripping of a breaker can also be the result of malfunctioning fans. For various reasons such as a clogged filter, your air conditioner’s fan motor may be straining to blow enough air and ends up drawing too much power, causing the AC circuit breaker to trip. On the other hand, the fan blades might be dirty and slow down the fan, putting a strain on the motor. Try giving the fan a thorough cleaning (with the system turned off at the breaker, of course!) and see if it solves the issue. In case it doesn’t, the motor may have a fault, in which case call an AC service technician to replace the fan motor. An overload can also be caused by a decrease in airflow to the evaporator coil. If you haven’t performed maintenance regularly on your AC unit and you’ve got several of the problems listed above, eventually air flow is diminished within your system. You can read more about how to fix and prevent this here. That leads to the evaporator coil freezing up, which draws excess power and can trip the AC circuit breaker. 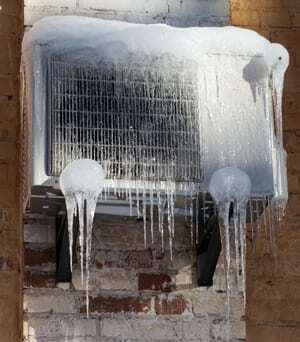 You’ll know this has occurred If you see ice on the coils of your inside AC unit. In that case, be sure to keep the unit off and call in a professional right away. If you attempt to keep it running, your compressor may fail, which is a very serious problem. Similarly older systems, especially if neglected, are prone to corrosion on the coils that leads to cracks, holes and leaking refrigerant. The unit has to work harder and run longer to cool the air despite the low refrigerant levels in your system, causing the unit to draw too much power and trip the AC circuit breaker. This may be the cause of the slow decline in your system’s performance that you may have noticed. Your AC technician will need to fix any refrigerant leaks, or in case they are too numerous, replace the coil and/or refrigerant lines. When dealing with issues related to electrical wiring, circuitry and especially short circuits, please take extreme care. This article is a guide to diagnosing the issues that may cause your AC breaker to keep tripping, but resolving the issues usually requires a trained professional, and you should always consult a reliable contractor in such cases. However, to save time and money, take good care of your AC systems by doing annual or biannual maintenance and keeping the coils and filters clean. This will prevent most of the expensive failures that occur. Although your AC’s circuit breaker can trip due to a number of reasons, the root cause is usually a lack of proper cleaning and maintenance. If your AC breaker trips repeatedly, make sure you keep it turned off and consult a professional. Taking care of the fan, filters and evaporator coils through regular maintenance is essential to the smooth operations and longevity of your AC.